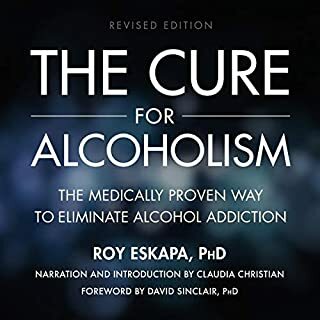 Featuring new and updated information and studies, including an introduction by actress Claudia Christian, the second edition of The Cure for Alcoholism delivers exactly what millions of alcoholics and families of alcoholics have been hoping for: a painless, dignified, and medically proven cure for their addiction. 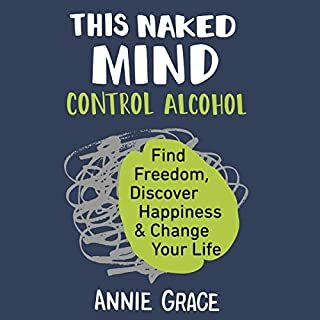 Backed by 82 clinical trials and research that extends back to 1964, The Sinclair Method deploys an opiate-blocking medication in a very specific way in combination with ongoing drinking to extinguish the addictive software in the brain. James Frey wakes up on a plane, with no memory of the preceding two weeks. His face is cut and his body is covered with bruises. He has no wallet and no idea of his destination. He has abused alcohol and every drug he can lay his hands on for a decade - and he is aged only 23. What happens next is one of the most powerful and extreme stories ever told. His family takes him to a rehabilitation centre. And James Frey starts his perilous journey back to the world of the drug and alcohol-free living. His lack of self-pity is unflinching and searing. You may not know it, but you've met Augusten Burroughs. You've seen him on the street, in bars, on the subway, at restaurants: a twentysomething guy, nice suit, works in advertising. Regular. Ordinary. But when the ordinary person had two drinks, Augusten was circling the drain by having twelve; when the ordinary person went home at midnight, Augusten never went home at all. Loud, distracting ties, automated wake-up calls and cologne on the tongue could only hide so much for so long. At the request (well, it wasn't really a request) of his employers, Augusten lands in rehab, where his dreams of group therapy with Robert Downey Jr. are immediately dashed by grim reality of fluorescent lighting and paper hospital slippers. But when Augusten is forced to examine himself, something actually starts to click and that's when he finds himself in the worst trouble of all. Because when his thirty days are up, he has to return to his same drunken Manhattan life - and live it sober. What follows is a memoir that's as moving as it is funny, as heartbreaking as it is true. Dry is the story of love, loss, and Starbucks as a Higher Power. 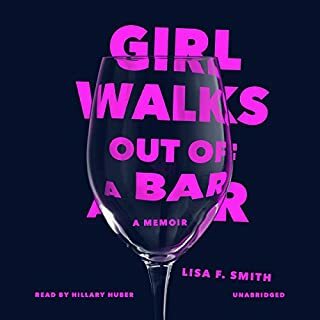 Where does Dry rank among all the audiobooks you’ve listened to so far? 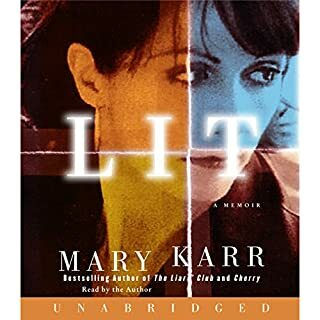 This book sits in the top 25% of the audiobooks i have. There is a danger in the 'i used to be drunk' genre that it turns into an empty shopping list of benders, but Burroughs manages to weave a compelling story from his, and the end left me in tears. In such a personal story, it has to be Augusten. He doesnt shy away from the damage he did to himself at others, nor pretend that he wasn't blissfully unaware either. He makes reference to his famously hard upbringing, but never milks it for pity. Overall, I walked away with an admiration of the balance with which he told the story and an admiration for a man regardless of him having spent the last few hours explaining the many times he'd screwed up. 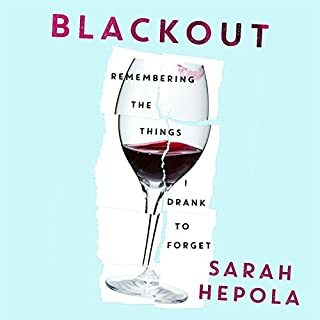 The end is great - i wont wreck it, but it spoke to me on a few levels, and avoided the non-descript ending to most books that focus on substance abuse. As mentioned, the end is particularly good, and some of his recollections of the goings-on in rehabs ad the characters he met were particularly well rendered. As mentioned, the level of narrative and insight in this boook is far superior to the average drunken memoir book. It is deeply personal without becoming a navel gazing excercise and a shopping list of benders - it actually feels intimate and vivid. I could not stop listening. As a writer, I'm not sure I could ever pen an account as personal and self aware as Dry. And Burroughs' candor and veracity seem to be what other readers often call into question. "No one could possibly be this messed up," I hear again and again. True or not, it's a pretty stunning piece of work. Anyone who has struggled with addiction can take two things away from this story. One, the typical way we deal with these problems don't always work — just the opposite, in fact. And two, very few people can hit rock bottom and come back like the author. 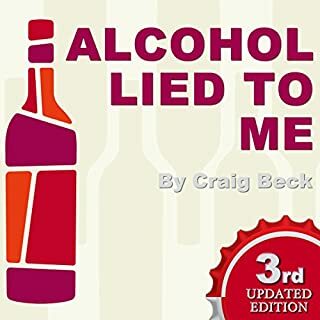 My mother was a recovering alcoholic and took me to her AA meetings when I was ten years old, back in 1952. Augusten Burroughs attended his first AA meetings in the mid 1990s, over forty years later. Listening to his book, "Dry: A Memoir", I was amazed how little AA has changed over the years. Even the Serenity Prayer as remained a mainstay: "God, Grant me the serenity to accept the things I cannot change, the courage to change the things I can, and the wisdom to know the difference." Yes, "Dry" is funny but it deals with a potentially tragic subject. Virtually everyone has an addiction or two. For most it's an ingrained habit, such as coffee, talking too much or the Internet. These are tension relievers and not life threatening. But then there are alcohol and drugs. These can be killers. 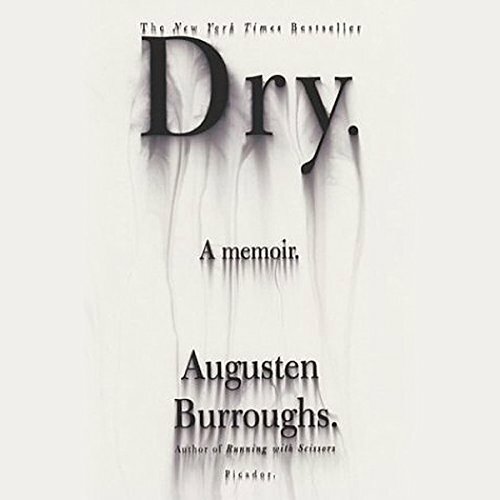 For most readers, "Dry" is an entertaining romp through Burroughs' life style, his rehab, AA and beyond. The story is well written and narrated by Burroughs himself. 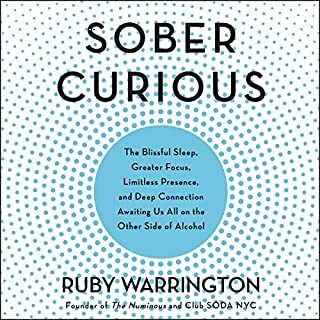 I suspect there are some readers who have a substance abuse problem and the book's message could very well save their lives. I highly recommend "Dry" as a fun read. Likewise, I recommend "Dry" to anyone needing an introduction to AA. 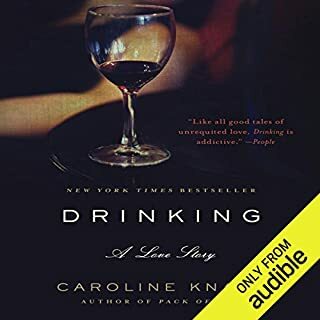 Tales of substance abuse treatment are starting to become their own subgenre: Carolyn Knapp's "Drinking: A Love Story" and Pete Hamill's "A Drinking Life: A Memoir" come to mind, as does the film "28 Days." 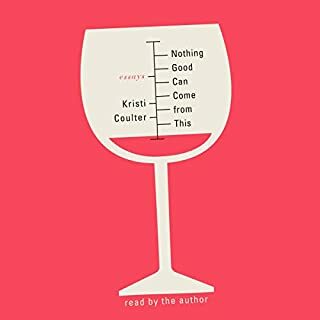 Augusten Burroughs' new book is a brilliant addition to this field, outclassing many other entries with its clever wit, ever present sense of irony, and hysterical humor. It's an excellent read even if you're not particularly interested in this topic, picking up the boy we've worried about since "Running with Scissors." He compares to David Sedaris, but wins hands down because he is authentic and faces the pain in his life with more than just sarcasm. I can't wait to see where else his writing career will take him. This is especially appropriate for gays in recovery, by the way, although there's nothing in it that won't apply to all of us. This edition is brilliantly read by the author. I thought I'd listen to this but was kind of dreading it. But what a well written and read tale of true life. 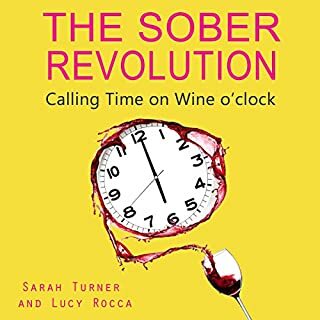 I wanted to listen because I know I'm drinking more than is good for me and it's hard to moderate, but haven't yet hit bottom or even had glaring problems (not many anyway). I like to listen to these stories as they give me hope that if this person can survive and rebound then I'm ok and not headed for hell. But this was a great life tale in it's own right. I think even people who aren't affected by a substance abuse problem or associated with someone close would still enjoy the story. It's not a crazy story, and it's not written in shocking cliffhangers - but it had me yearning to get in the car and drive just to listen. 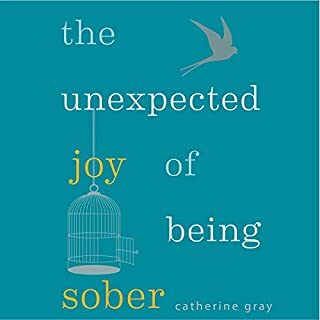 A Must for anyone in recovery! My first impression of this was that it was not as well-written as "Running with Scissors." (I heard that this was written first, even though it comes later chronologically, so "Scissors" may be a more mature work.) I very much warmed up to it, though. 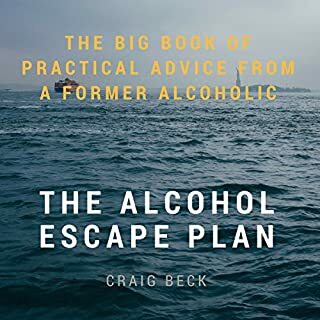 There are priceless descriptions of alcoholic craving, of the regrets and failures that feel impossible to face up to, and of the moment when one faces the pain, which is the first step toward recovery. 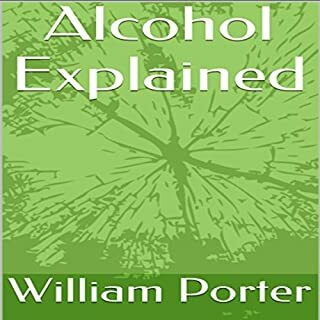 As another reviewer stated, alcoholics/addicts will recognize it all, while others will learn something about the disease. Another reviewer stated that he emphasized his gayness and spent a lot of time talking about his sexual feelings; this was not the case. There were places where the writing didn't grab me, but the treasures scattered throughout make this an easy recommendation. Burroughs does a great job of narrating a hair-raising story of excess and addiction and eventually, success, at fighting addiction. I liked it better than his earlier memoir, Running with Scissors, which, while true, was a downright horrifying story of child neglect, abuse and insanity. I think his voice and style have matured since Running. I enjoyed listening to the book and was sorry when it ended. My first Burroughs and as it turns out, all of his books are excellent! Very interesting and touchingly halarious read. It grows on you... And stays with you. really enjoyed this despite the dodgy English accents. and just for the record it's Marmite not Vegimite, that's what Australians eat. bit overall an excellent audio book. Really, anyone would enjoy this book. It's witty, clever and captivating. The author is an intelligent, interesting man - a true talent. 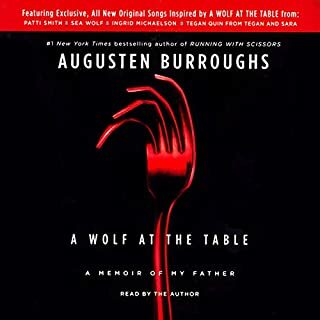 Augusten Burroughs does it again, Dry starts off after Running With Scissors left off but can be listened to as a stand alone volume. 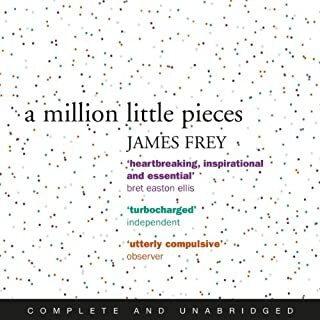 I went through a wide range of emotions listening to this one, its both brilliantly written and narrated, laughter, sadness, anticipation, anger, even crying, its so raw that it is shocking in places but when you remember this really is an actual account of one man's double life the way he has to hold down a job, keep up appearances, maintain friendships and basically keep going then on the flip side the addictions, drugs and booze, men, its all there laid out in the rawest language, its amazing. 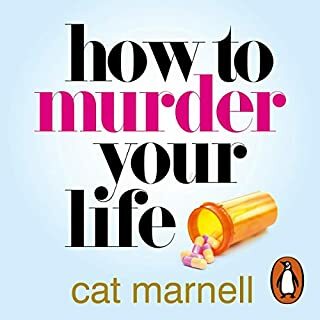 A highly entertaining listen, there were many times throughout this one I didnt want to stop listening its a completely addictive book in itself. 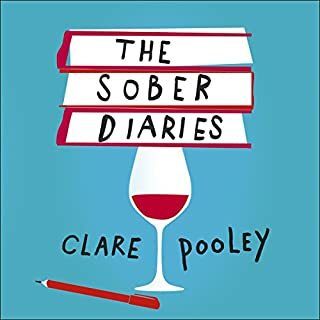 A heart-felt and heartbreaking story of a journey through alcoholism and recovery. Darkly funny and very real. Read this right now, if not sooner! Outstanding book and beautifully narrated in a stream of consciousness style by the author. Fab if your struggling with the demon drink, equally as fab if you’re not! Wasn't sure at the start but glad I persevered. Quirky, interesting and scary while being humorous at times. Not very useful for alcohol addiction, mainly about lost relationships. Not for everyone, not for me. 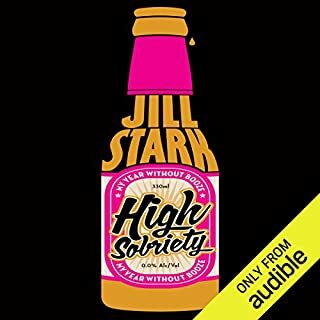 A couple of months into my sobriety, I've been listening to anything subject related... and this is by far my favourite! Honest, funny, witty, a little dark... I laughed, cried and felt elated.. could not switch off!! Beautifully written and narrated. Pleased to see he has written other titles I'm now checking out! Excellent, engaging, involving, superbly read. Excellent, engaging, involving, superbly read. I didn't want it to end. Was surprised when it did.